Krueckeberg Auction & Realty is making our name known as a premier heavy equipment outlet, thanks to yet another wildly successful auction! On Friday, March 9th, at the Krueckeberg Auction complex, nearly 300 bidders joined us on site – with over 400 bidders joining online. 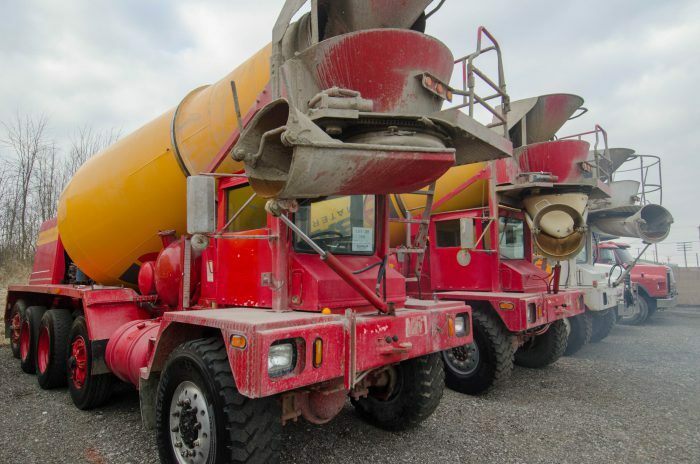 Thanks to our online bidding technology and another great turnout, we were able to sell nearly 2 million dollars worth of equipment to buyers across Indiana and the entire United States. 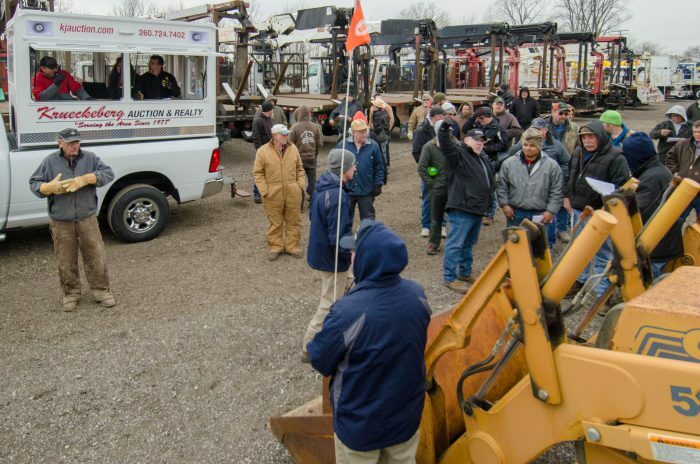 A crowd of bidders gathered around at the March 9th heavy equipment auction. Krueckeberg Auction & Realty is continuously growing to be one of the premier heavy equipment outlets in the country. We are rapidly growing along with our experienced team, and are proud to provide prompt customer service that is second to none! Missed out on this heavy equipment auction? We will have plenty more. Check out our schedule of upcoming auctions, many of which are available to bid online. Stay tuned to our Facebook page, too, where we frequently post event updates, as well as photos and details about upcoming auctions! Questions? Give us a call or send us an email – we’re happy to help guide you, whether this is your first auction or you’ve been around the block a time or two!